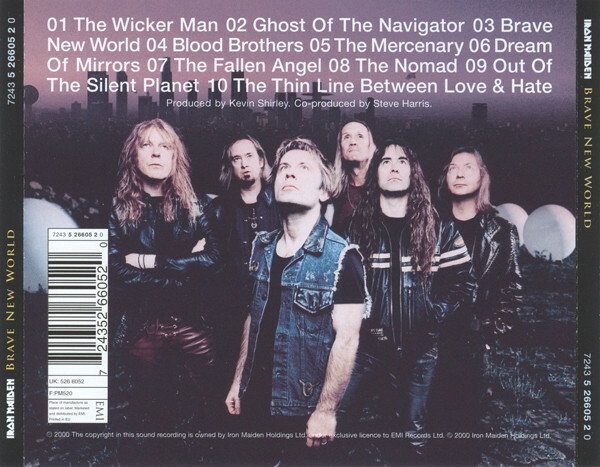 The return of Iron Maiden’s classic line-up (plus third guitarist Janick Gers) in 1999 led to an incredibly successful world tour, which saw the group commanding the stage with more power and authority than they had in over a decade. But would the British metal gods be able to carry this momentum into a studio setting and recapture the songwriting chops of their glory days? This question made Brave New World one of the most highly anticipated metal releases of 2000, and thankfully, the answer is a resounding yes. In fact, the album pretty much picks up exactly where the classic lineup left off on 1988’s Seventh Son of a Seventh Son, and most old-school fans will probably be so elated with the band’s faithful rediscovery of their classic sound that only repeated listens will reveal the album’s human flaws. 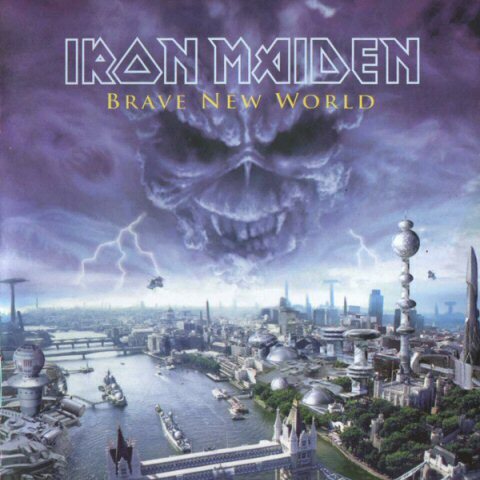 Like the aforementioned Seventh Son, Brave New World’s metallic riffage allows for a greater sense of space than early Maiden albums (as well as the use of subtle keyboard textures in a supporting role) while featuring a beefier, in-your-face mix à la Piece of Mind. 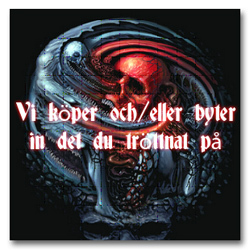 The remarkable pipes of singer Bruce Dickinson also seem to have benefited from the extra time off over the past decade, and his delivery hasn’t sounded this fresh and confident since The Number of the Beast, while his lyrics most resemble 1984’s Powerslave in their mix of gothic and historical themes. As was said before, once the listener’s initial euphoria dies down, a more lucid appraisal will reveal that Brave New World is no Number of the Beast, but as comeback albums go, its excellence is undeniable. And most importantly, the album shows that Iron Maiden has successfully managed to update their past metal glory for the 21st century.